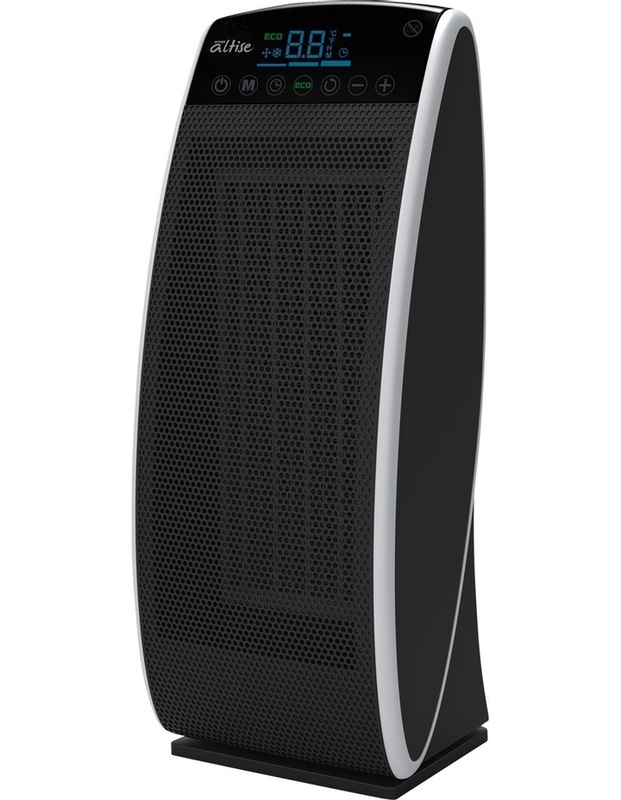 Omega Altise Ceramic Heater: Black. Ceramic heater with led display, 2400w, 6 heating modes including fan only, anti fost and eco mode, wide angle circulation, 24 hour timer, touch control within built safety features such as overheat shut off and safety tip over switch. AHCC2400TB.